Dozens of Palestinians on Saturday evening suffered breathing problems as Israeli occupation forces (IOF) quelled Kafr Qaddum weekly march. The anti-Separation Wall and anti-settlement march also demands the reopening of a main road closed by the IOF 15 years ago. 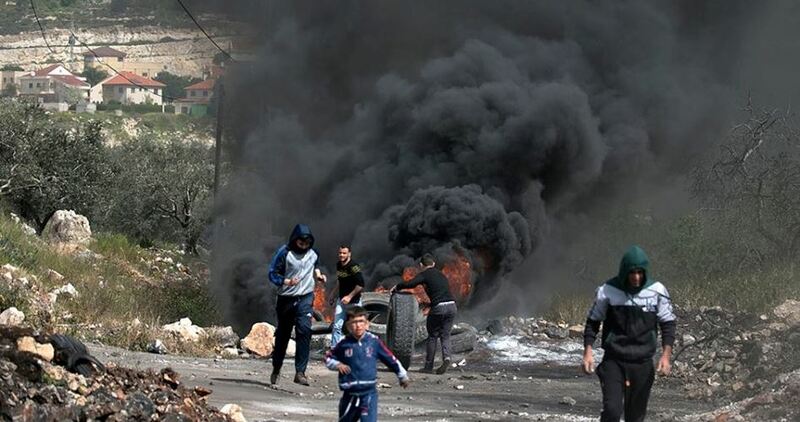 The coordinator of popular resistance in Kafr Qaddum, Murad Shtewi, said that IOF soldiers raided the town and fired rubber bullets and tear gas canisters at the protesters. The wounded were treated in the field, he added. He pointed out that IOF troopers set up ambushes beneath olive trees in an attempt to arrest the Palestinian protesting youths. The march kicked off with the participation of hundreds of the town's inhabitants led by Minsiter Walid Assaf, head of anti- Separation Wall and anti-settlement committee, along with a number of solidarity foreigners. At least one Palestinian was injured after Israeli artillery bombed a location east of Gaza city on Saturday evening, according to local sources. The PIC reporter said that Israeli artillery bombed, with three missiles, an agricultural area in al-Shujaiya neighborhood east of Gaza, injuring one local citizen and causing damage to the site. This came two days only after Israel had targeted several sites east of Gaza Strip on Thursday morning. 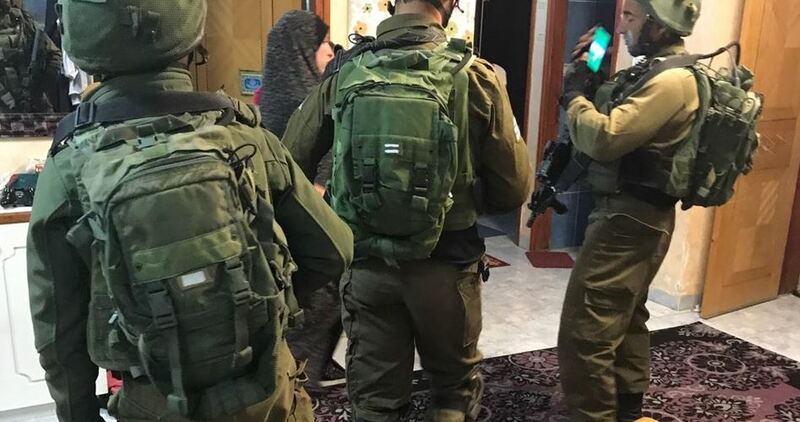 The Israeli occupation forces (IOF) carried out arrests and raids on homes last night and at dawn Saturday in different areas of the West Bank. According to local sources, the IOF kidnapped 25-year-old Omar Dahbour from his home in Rujeib village, east of Nablus. 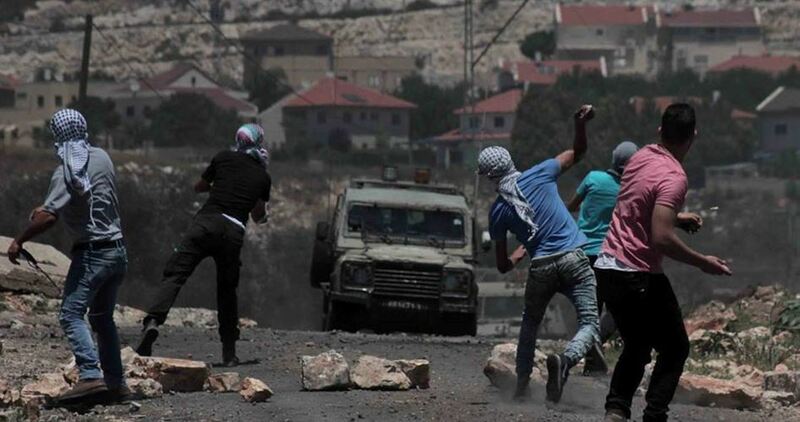 Skirmishes with local young men also took place during the IOF campaign in the village. Earlier, the IOF set up ambushes for young men in Kafr Qallil town in southern Nablus and patrolled its streets following overnight clashes with them. No arrests have been reported. An Israeli military force also entered Madama town in southern Nablus and removed a Palestinian flag and a pole. In Qalqilya, the IOF reportedly assaulted several citizens in Azzun town after violent confrontations with local young men. Local sources told the Palestinian Information Center (PIC) that young men attacked the military watchtower in al-Mintar area of the town with Molotov cocktails and threw stones at settlers’ cars on a nearby bypass road, causing damage to some of them. They added that Israeli troops encircled the town, closed its entrances, ransacked homes in al-Mintar area and the eastern neighborhood and assaulted families. In Bethlehem, the IOF kidnapped at dawn today a young resident of al-Deheisheh refugee camp during his presence outside a store in the central district of the city and clashed with others before withdrawing. Soldiers also handed two ex-detainees called Abdullah Nawawreh and Walid al-Bestanji summonses for interrogation from the Shin Bet in Gush Etzion settlement after searching their homes in eastern Bethlehem. Israeli soldiers opened fire, on Saturday morning, at several Palestinian farmers, and shepherds, east Gaza, and in the al-Fakhari area, east of Khan Younis, in the southern part of the besieged coastal region, while Israeli navy ships fired dozens of live rounds and fishing boats, in the Sudaniyya Sea area, northwest of Gaza city. 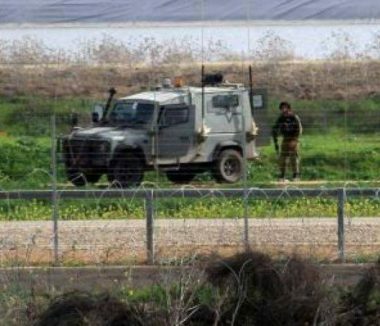 The Palestinian New & Info Agency (WAFA) has reported that the soldiers, stationed in a military base across the border fence east of Gaza city, fire dozens of live rounds at Palestinian farmers, and shepherds, forcing them to run away in fear for their lives. The soldiers also fired many live rounds at farmlands, and a few homes, in the al-Fakhari area, east of Khan Younis, in the southern part of the Gaza Strip. The attack was carried out while many tanks and armored vehicles were seen roaming close to the border fence, and army drones hovered over the entire area. In related news, Israeli navy ships fired many live rounds at fishing boats in Palestinian territorial water, in the Sudaniyya Sea area, northwest of Gaza city, causing damage to at least one boat, and forcing the fishermen back to the shore in fear of further escalation. In the occupied West Bank, the soldiers invade the al-‘Obeyyat area, east of Bethlehem city, and summoned two former political prisoners, identified as Waleed al-Bustanji and Abdullah Suleiman Nawawra, for interrogation in Etzion military base and security center, north of Bethlehem. 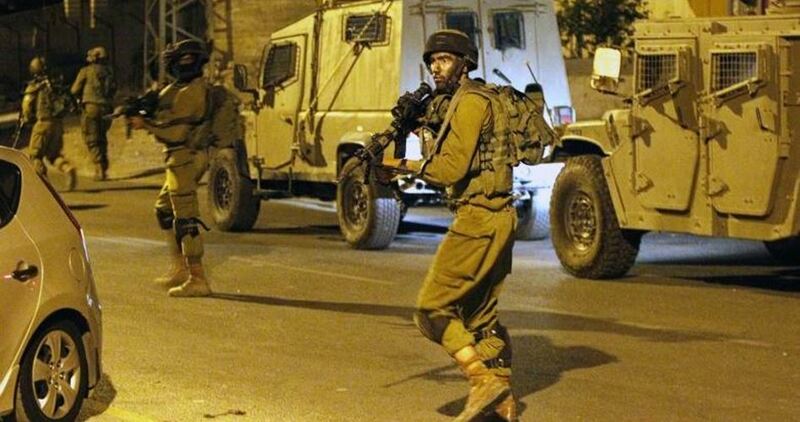 Dozens of Israeli soldiers invaded, on Saturday at dawn, the town of ‘Azzoun, east of the northern West Bank city of Qalqilia, and isolated a neighborhood before storming and violently searching ten homes. The soldiers surrounded and isolated al-Mintar neighborhood, and conducted violent searches of ten homes, causing excessive damage. During the invasions, the soldiers fired many flares, concussion grenades and gas bombs, leading fires in some homes, and causing scores of residents to suffer the effects of teargas inhalation. Palestinian medics and firefighters rushed to the town, provided the needed treatment to the wounded Palestinians, and extinguished fires, which erupted in some homes. Undercover Israeli soldiers infiltrated, Friday, into the Manger Square area, in the center of the West Bank city of Bethlehem, and kidnapped a young Palestinian man, before withdrawing towards military roadblock #300, north of Bethlehem. Media sources in Bethlehem said the undercover soldiers drove a civilian car with Palestinian license plates, and kidnapped Shadi Ma’ali, in addition invading nearby stores and confiscating their surveillance equipment and recordings. The soldiers fired many live rounds at Palestinians in the area and sped towards the military roadblock taking the young man with them. It is worth mentioning that Ma’ali is a former political prisoner, who held a hunger strike for forty days while being held by Israel under Administrative Detention orders, without charges or trial. The army has been trying to re-abduct and imprison the young man over the last several months. The Israeli occupation forces (IOF) at dawn Saturday stormed once again Barta’a al-Sharqiya town, south of Jenin city, and ransacked dozens of Palestinian homes belonging to the family of Qabha, whose relative, Alaa, carried out on Friday a deadly car-ramming attack on soldiers near the West Bank illegal settlement of Mevo Dotan. 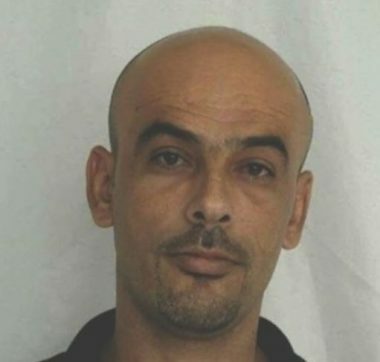 Alaa Qabha, an ex-detainee in Israeli jails, rammed his car into a group of Israeli soldiers at a checkpoint near the settlement, killing two soldiers and injuring two others. Qabha was arrested by the IOF, which said he told his interrogators that it was an accident and that "the wheels of his car were locked." Local sources told the Palestinian Information Center (PIC) that dozens of soldiers and military vehicles stormed at dawn today Barta’a al-Sharqiya town, which is located behind the separation wall, and blocked all its entrances. They added that the soldiers broke into and searched more than 30 homes belonging to the family of Qabha. Earlier on Friday night, the IOF raided homes of Qabha’s parents, brothers and uncles, arrested his brother, Esam, and notified the family of a military order revoking over 100 work permits for them as part of mass punitive measures to be taken against them. Dozens of Palestinians were shot and injured by Israeli rubber bullets and others suffered suffocation because of the tear gas fired by the Israeli occupation forces (IOF) during violent clashes in the West Bank and Gaza Strip. The clashes flared anew on the 15th Friday of anger which marks the 100th day of the US recognition of Jerusalem as the capital of Israel. 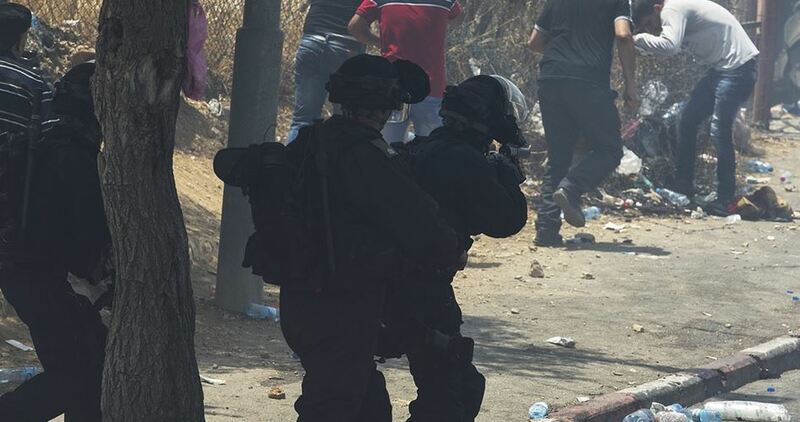 Local sources said that the clashes broke out in al-Ezzah refugee camp in Bethlehem, Bilin and Nilin towns as well as al-Mazraa al-Gharbiya and Budrus villages in Ramallah. Clashes also erupted in Bab al-Zawiya area in al-Khalil and each of Huwara, Kafr Qallil, al-Libban al-Sharqiya and Beita towns in Nablus in addition to Kafr Qaddum town in Qalqilya. The sources added that most of the protests took place after performing Friday prayer especially in the towns which witness weekly clashes with IOF troops near the Separation Wall and the IOF military barriers. Palestinian protesters threw stones and empty bottles at IOF soldiers who showered Palestinians with rubber bullets and tear gas grenades. As for Gaza, eleven Palestinians were shot and injured by IOF gunfire in clashes that flared along the eastern borders of the Gaza Strip. Israel’s Nature Authority staff members on Thursday morning stormed Bab al-Rahma Cemetery, adjacent to the holy al-Aqsa Mosque. Israel’s Nature Authority crews, escorted by armed troops, stormed the cemetery, marked Muslims’ graves, and took measurements of the cemetery’s edges. Director-General of the Islamic Endowment, Aazzam al-Khatib, showed up in the area to keep tabs on the Israeli assault. 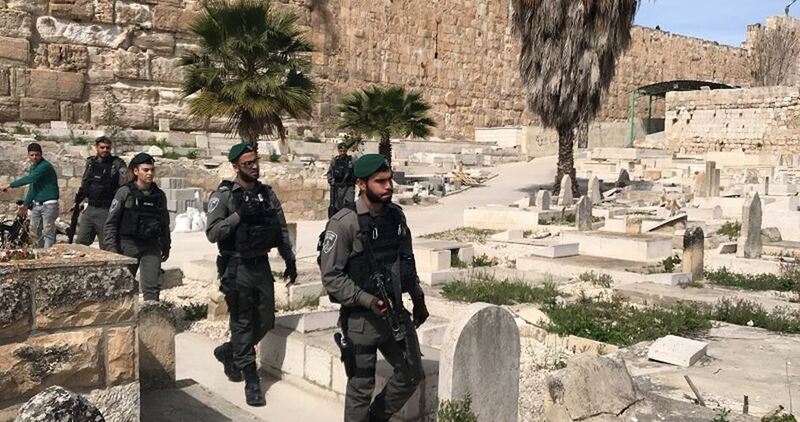 A few days earlier, Israeli military forces assaulted Bab al-Sahira Cemetery, in Occupied Jerusalem, where bodies of Palestinian protesters killed in the 2015 anti-occupation intifada have been buried. The aggression culminated in the destruction of the headstones of the tombs of over 10 Palestinians murdered by the occupation forces during the uprising. The Palestinian Red Crescent Society announced on Thursday evening that 27 Palestinians suffered breathing problems and 9 others were shot and injured by Israeli gunfire during clashes that erupted with Israeli forces in al-Ezeriya town east of Occupied Jerusalem. In a brief statement, the Society highlighted that two Palestinian men suffered burns during the violent clashes. Occupied Palestinian territories have been witnessing escalated protests and clashes with Israeli forces since the US declaration of Occupied Jerusalem as the capital of Israel last December. Israeli soldiers injured, on Thursday morning, at least one Palestinians and caused excessive property damage, after the army fired missiles and shells at many targets in the Gaza Strip. The army claims the escalation started after an explosive targeted a military vehicle near the border fence. Media sources said an Israeli drone fired three missiles at a site, east of Beit Hanoun, in the northern part of the Gaza Strip, causing excessive property damage, and moderately wounding one Palestinian, who was rushed to a hospital in nearby Beit Lahia. They added that the soldiers fired dozens of live rounds at many homes and property, in the eastern part of Beit Hanoun, causing damage. Furthermore, Israeli tanks stationed in Nahal Oz military base, across the border fence east of Gaza city, fired six shells and dozens of live rounds at homes and farmlands, in addition to two sites, run by the Al-Qassam Brigades, the armed wing of Hamas, east of Gaza, and near Jabalia, in the northern part of the coastal region. Medical sources in Gaza said ambulances, and rescue teams, were unable to reach several targeted areas, especially east of Gaza, due to the intensity of Israeli fire. Israeli military troops stationed on Gaza’s eastern borders fired on Thursday morning several artillery shells towards Palestinian lands and resistance sites east of the blockaded Gaza Strip. 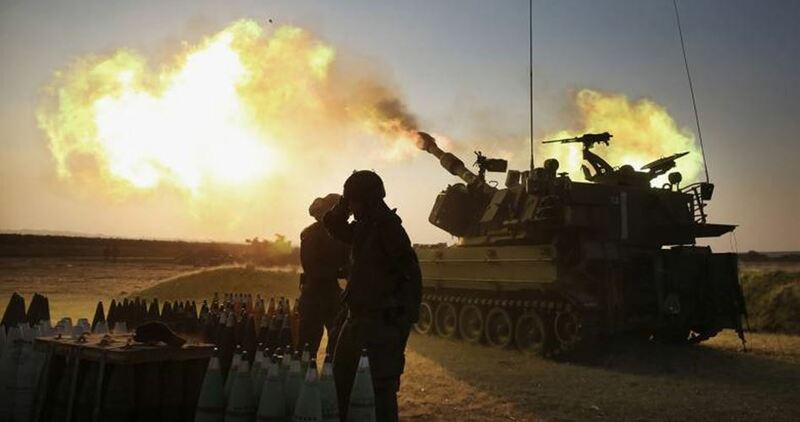 According to local sources, an Israeli artillery tank stationed east of al-Shuja’iya neighborhood, to the east of Gaza City, unleashed several shells toward agricultural lands and resistance sites in the eastern corners of the enclave. 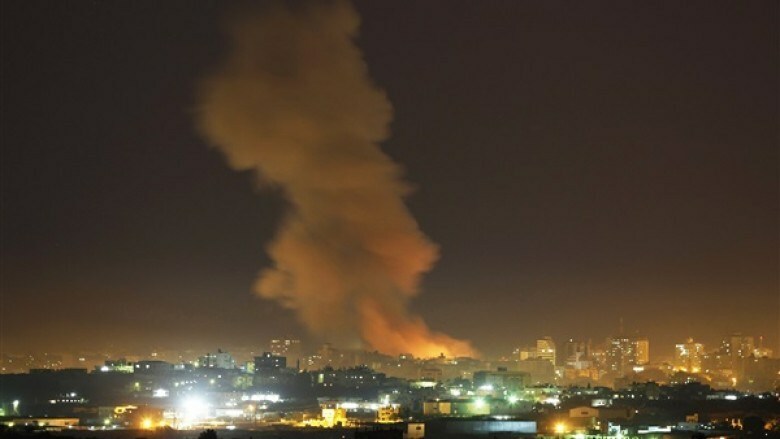 Another Israeli strike targeted a resistance site east of Beit Hanun, to the north of the Gaza Strip. At the same time, nine shells were fired by the occupation army toward the Shuhadaa Cemetery, east of Gaza City. Israeli aggressions on the area have reportedly been ongoing. Palestinian ambulances could not reach the targeted locations due to the heavy smokes wrought by the strikes. The Israeli occupation military claimed that the aggressions came following the explosion of four grenades near Israeli military troops raking through the border fence. An Israeli military spokesman claimed that the blast occurred at 06:40 am. No injuries were reported in the alleged explosion. Channel 10 quoted an Israeli military official as alleging that this morning's incident on Gaza’s border is “difficult and dangerous”, pointing the finger at Hamas. 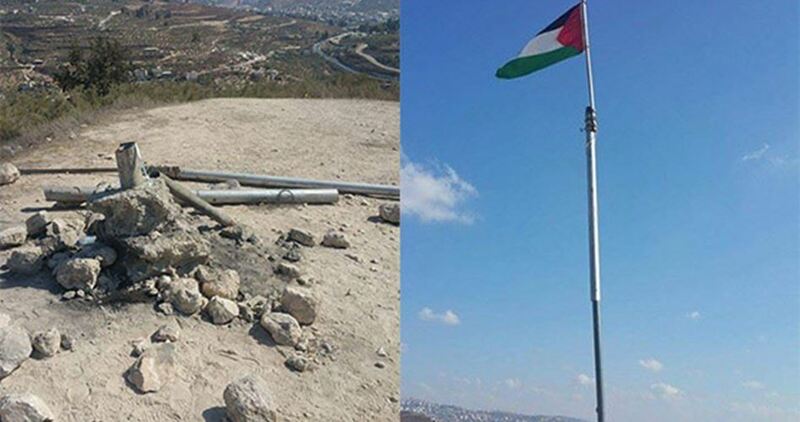 Israeli occupation forces (IOF) on Wednesday blasted the Palestinian flagpole hoisted over a historic site in Sebastia town northwest of Nablus after burring many bombs in the area earlier on the day. Mayor of Sebastia Mohammad Azem said that it was the 30th time in which IOF soldiers blasted the flagpole. He pointed out that IOF troopers deliberately blow off the site during the touristic season aiming at intimidating tourists and hindering the touristic traffic. The site is located within the Israeli-controlled Area C with accordance to Oslo Accords. The IOF bars Palestinians from hoisting the Palestinian flag over that area and always tries to impose the Israeli sovereignty over the site. Three Israeli military jeeps on Wednesday afternoon broke into al-Khalil city, to the south of West Bank. A number of commercial stores were searched during the raid. The PIC field reporter affirmed that three military jeeps accompanied with Israeli intelligence officers stormed Hawooz area in the city, without reporting any arrests. However, a number of blacksmith and lathing workshops were stormed and searched during the raid. 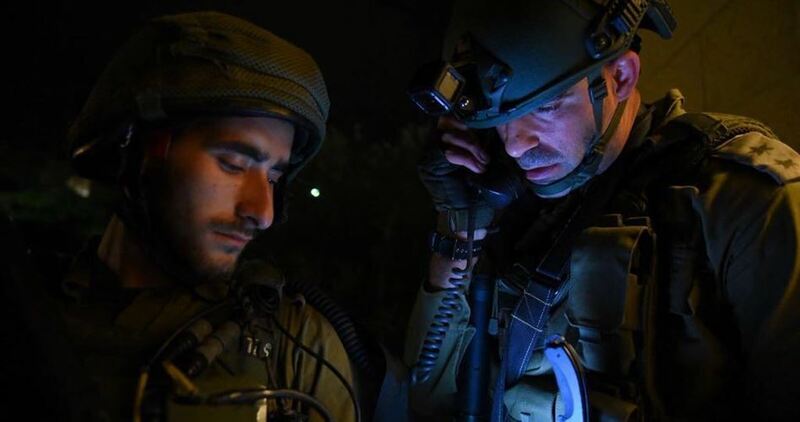 The Israeli occupation forces (IOF) at dawn Wednesday launched raid and arrest campaigns into different areas in the West Bank. The PIC reporter said that the IOF at daybreak stormed Nablus city and erected a number of temporary checkpoints. 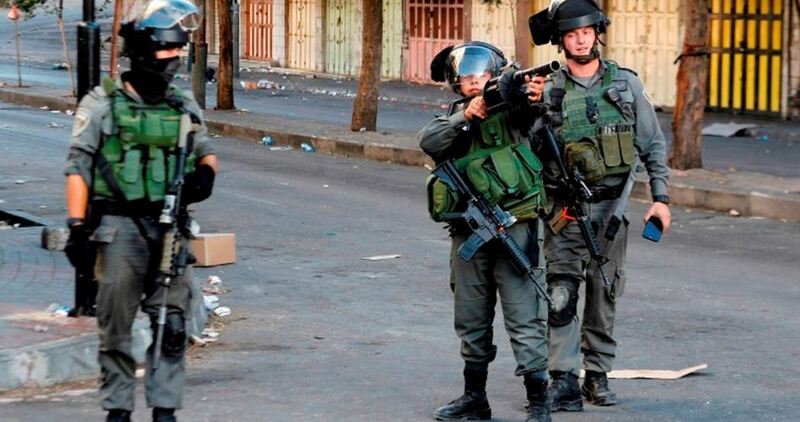 Eyewitnesses reported that the IOF raided the houses of the Palestinian journalists Amid Dweikat and Naser Ishtiya in Rujeib and Salem towns east of Nablus and wreaked havoc on them. Another campaign was witnessed in Asira ash-Shamaliya town north of Nablus. The IOF arrested Mohammed Hamadneh, a student at al-Najah University, after raiding his family house and searching it. Large-scale sweeps were launched in Jenin province where three Palestinian citizens, including two ex-prisoners, were arrested. 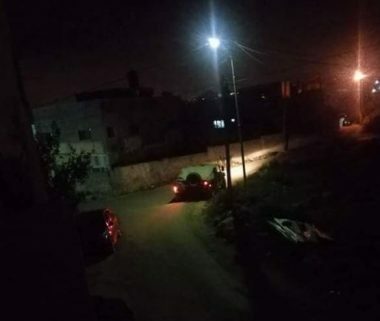 Local sources told the PIC reporter that dozens of IOF soldiers stormed Silat al-Harithiya town west of Jenin and fired live ammunition and sound bombs at the Palestinian citizens' houses. Meanwhile in Bethlehem, the IOF raided and searched the houses of the members of the Palestinian Legislative Council Anwar Zabboun and Khalid Tafesh and the leader in Hamas movement Ghassan Hirmas. The PIC reporter said that the IOF confiscated a sum of money from the house of MP Tafesh after searching it. He added that the IOF also arrested an ex-prisoner named Ibrahim al-Zier during a raid into Harmala village east of Bethlehem.